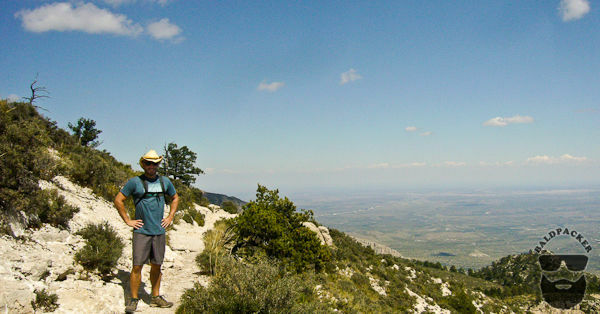 Guadalupe Mountains National Park was established as a National Park on September 30, 1972. Guadalupe National Park is the world’s premier example of a fossil reef from the Permian Era and is one of the few protected areas surrounding the huge Permian Basin oilfields of West Texas making it an interesting place to visit for its geology, history, camping, hiking, and phenomenal scenery. When my girlfriend obtained a teaching job in Odessa, Texas, the first thing we did was look at a map for the nearest places to hike, camp, and pursue other outdoor activities; Guadalupe National Park was the closest with Big Bend National Park also being nearby. 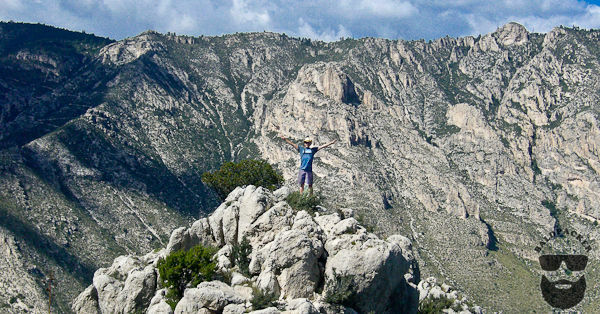 Guadalupe Mountains National Park is a 3 hour drive from Odessa / Midland, Texas; 1.5 hour drive from El Paso, Texas; 5 hour drive from Albuquerque, New Mexico; and 7.5 hour drive from Phoenix, Arizona; basically, in the middle of nowhere. There are no fuel stations in the park and very few amenities nearby so if you plan to visit make sure you have everything you need (gasoline, food, ice, etc.) before driving to the park. 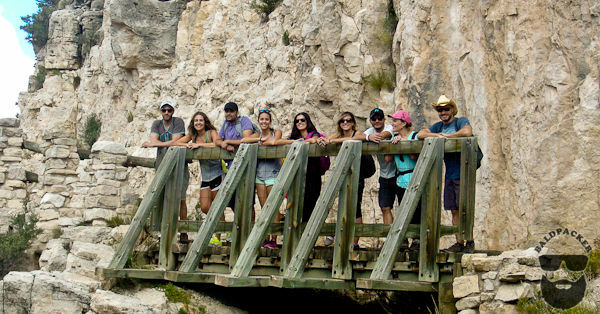 Below I’ll discuss our visit to Guadalupe Mountains National Park, including the camping and hiking we did, but will first explore the Geology and History of the area. The Permian period of geologic time occurred from 251 to 299 million years ago, when amphibians, fishes, and insects had evolved and the earth’s surface really began evolving and shifting. During the early and middle Permian period, all of the continents were joined together, forming the super-continent of Pangea. Modern-day New Mexico and Texas were on the western edge of Pangea, near the equator. A vast ocean surrounded Pangea, but a narrow inlet, the Hovey Channel, connected the ocean with the Permian Basin, creating an inland sea which covered parts of modern northern Mexico and the southwestern US. 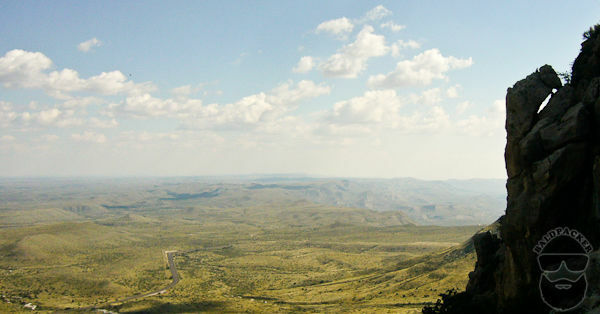 The Permian Basin had three arms: the Marfa, Delaware, and Midland Basins. The middle arm (the Delaware Basin) contained the Delaware Sea which covered an area 150 miles long and 75 miles wide over what is now West Texas and south-eastern New Mexico. During the middle part of the Permian Period, a reef developed along the edge of the Delaware Sea. This reef is called the Capitan Reef, and it is considered to be one of the most well-preserved fossil reefs in the world. For several million years, the Capitan Reef expanded and grew around the Delaware Basin until approximately 260 million years ago when environmental conditions changed and things began to die. The end of the Permian brought the greatest mass extinction of all time. Horn corals and trilobites became extinct, along with many types of sponges, algaes, brachiopods, crinoids, bryozoans, ammonoids, and nautiloids. The Hovey Channel, which connected the Permian Basin to the ocean, became restricted and the Delaware Sea began to evaporate faster than it could be replenished. Minerals began to precipitate out of the vanishing waters and drift to the sea floor, forming thin, alternating bands of mineral salts and mud. Gradually, over hundreds of thousands of years these thin bands completely filled the basin and covered the reef. About 80 million years ago tectonic compression along the western margin of North America caused West Texas and southern New Mexico to be pushed up. Over the last 30 million years, steep faults along the western side of the Delaware Basin developed and pressure on these faults caused a portion of the Capitan Reef to rise several thousand feet above its original position. 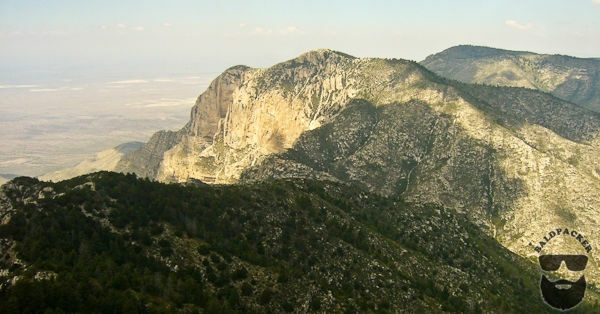 This uplifted block was eroded over time, removing the overlying sediment, to uncover the more resilient fossil reef, which became the modern Guadalupe Mountains. The reef is mainly composed of the Capitan limestone, a massive, fossiliferous limestone formed by the accumulation of algae, sponges, and tiny colonial animals called bryozoans. 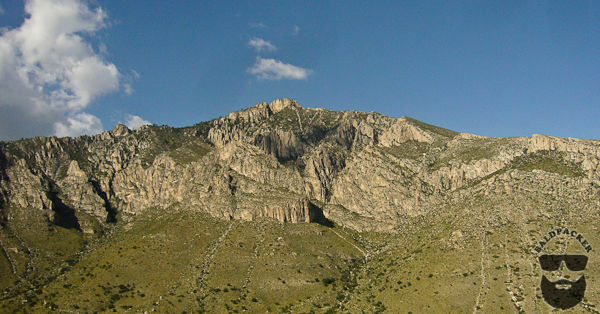 The Capitan limestone forms the thousand-foot high cliff of El Capitan, one of most obvious and beautiful mountains in Guadalupe Mountains National Park. Below the cliffs of Guadalupe Peak and El Capitan are the fine-grained sandstone and siltstone beds of the Cherry Canyon and Brushy Canyon Formations. These sediments were deposited as sand and silt filled sub-marine channels in the basin. If you’ve heard of the Permian Basin, it’s probably because of the huge deposits of oil and gas being produced from it. 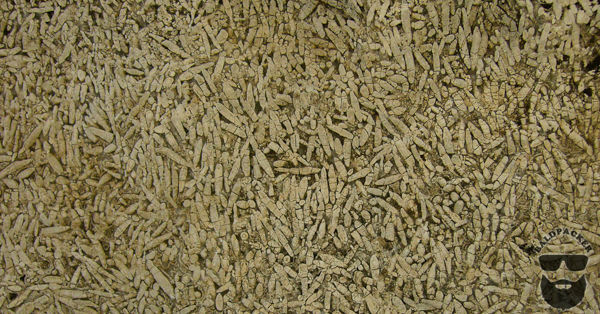 The sediments that washed into the Permian Basin during the building of the Capitan Reef became thin black limestones separated by thicker beds of fine-grained sandstone. The black limestone contained dead plants and animals that only partially decomposed due to a lack of oxygen, and over millions of years, heat and pressure changed the organic matter to oil and gas. Nowadays, West Texas is dotted with oil and gas wells and it is easy to see hundreds of gas flares (flames) from the Guadalupe Mountains and even Pine Canyon Campground at night. 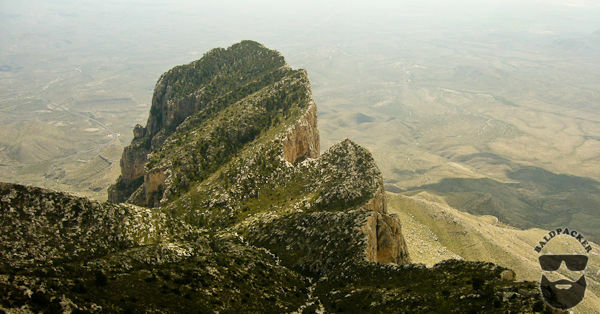 There is archaeological evidence that the first people visited the Guadalupe Mountains over 10,000 years ago. The earliest inhabitants were hunter-gathers who followed available game and edible vegetation. 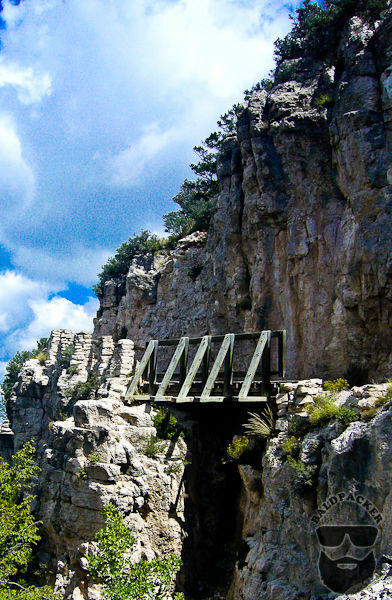 They would have temporarily lived in the many caves and alcoves common in the Guadalupe Mountains. Although many remains from these early visitors have been found, no evidence of large-scale settlements have been located to date. In the mid-1500s the Spanish arrived and introduced horses to the area. For the Native Americans (Apaches) in the area, horses became an asset to their nomadic lifestyle since they could use the horses to follow and hunt game. The Spanish called the Apache the “Mescalaro” since they gathered and used the mescal plant as a food source. The Mescalero were essentially nomadic hunters and warriors who only stayed in a place for a temporary time in brush shelters known as a “Wicki up” or teepees made of elk and/or buffalo hides. No other Native Americans caused as much terror for the settlers of the southwest as the Apaches did as they continually raided Spanish, Mexican and American settlers. 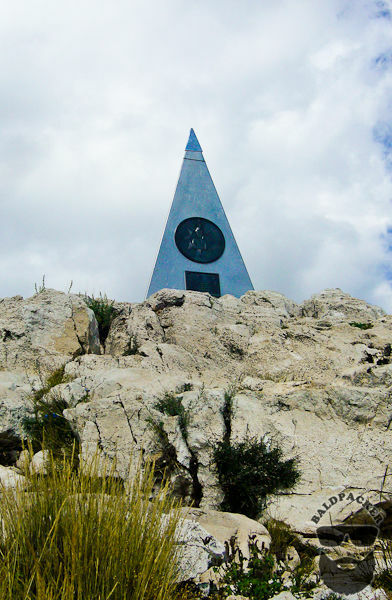 In the early 1700s, when the Apaches went to war with the Comanches, many Apaches retreated to the Guadalupe Mountains where they learned to survive utilizing the native plants and animals. The Mescaleros hunted mule deer, elk, and bighorn sheep, and harvested plants including agave, sotol, and bear grass. Prior to the mid 1800’s, the Guadalupes remained a sanctuary for the Mescalero Apaches. After the US Civil War ended, new transportation routes encouraged droves of pioneers, homesteaders, and miners to head west which began threatening their home in the Guadalupes. In the 1840’s and 1850’s, explorers were commissioned to look for possible train and carriage routes to the west, and cavalry troops, including the Buffalo Soldiers, were ordered to the Guadalupe Mountain area to halt Apache raids and secure settlements. The military actions were devastating to the Mescaleros who were already facing food shortages. By the late 1800’s, the Mescaleros had, for the most part, been driven from the Guadalupes and nearly all of the surviving Mescalero Apaches in the U.S. were living on reservations. You may be familiar with the Apache Warrior Geronimo, who became famous for standing up to the US Government. Geronimo was an Apache who lived from 1829-1909 and fought the US Government until 1886 when he surrendered, with a group of only 16 warriors remaining. 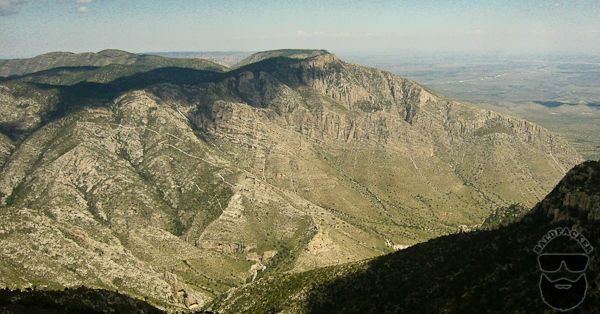 Today, the Guadalupe Mountains still represent an important cultural and spiritual sanctuary for the Mescalero Apaches. Each year members of the tribe come to the area to harvest agaves for ceremonial purposes. Geronimo’s ancestors continue to live on the Mescalero reserve these days. The Pine Springs Visitor Center and the US National Parks Website are the best places to get information about camping in the Guadalupe Mountains, but I will quickly summarize the options for camping in Guadalupe Park below. The two main campgrounds are Pine Springs Campground, accessible from Highway 62/180 in the south, and Dog Canyon Campground ,accessible from the Queens Highway (Hwy 137) in the north. 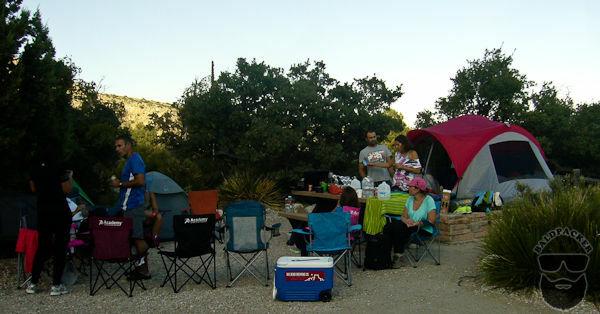 For most people, the Pine Springs Visitor Center and Campground will be the easiest access to Guadalupe National Park and that is where our group camped. 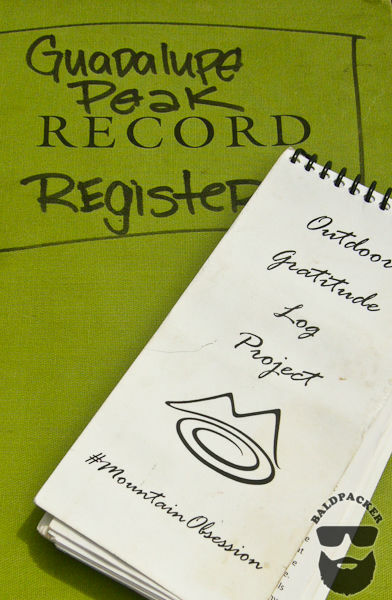 Guadalupe Park’s campgrounds are basic but sufficient with leveled sites, potable water, and toilets. Camping is first come, first served, and $8 per site per night (plus park fees) unless you have a group. Since we managed to get a group together, we reserved one of the two group sites at Pine Springs Campground for $3/person/night (plus park fees). We arrived on a Friday night in late September and there were still several of the first come first served sites available. Although a lot of people visit Guadalupe in October for the “Fall Colours” when the vegetation changes to beautiful yellows and reds, I thought September was a great time to visit since it wasn’t too hot during the day or too cold at night. There are also 10 backcountry camping sites available for those who prefer roughing it. The campground to be perfect for our needs, though it is always disappointing to camp in places where the conditions are such that you cannot barbeque on open coals or have camp fires. Given how dry the entire area is, I can fully understand the ban, but plan accordingly and bring a gas stove if you plan to cook. 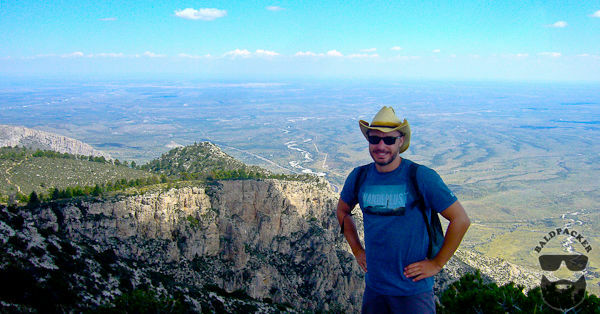 One of the main reasons I wanted to visit the Guadalupe Mountains National Park was to hike Guadalupe Peak, the highest mountain in Texas. 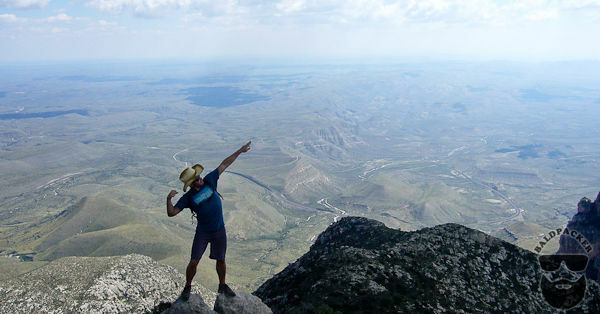 Reaching the Top of Texas isn’t that difficult as there is a very well-built 8.5 mile (14 km) round-trip trail that does not require any climbing or scrambling. 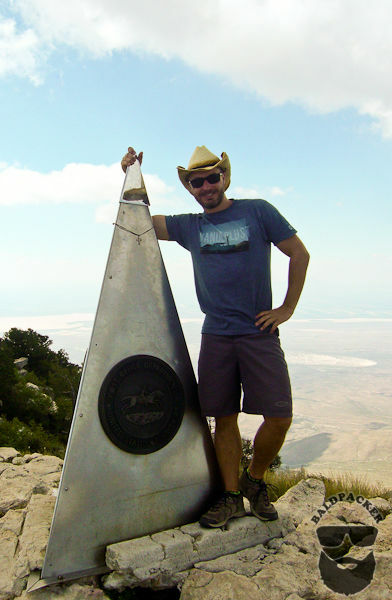 Beginning at the Pine Canyon Campground (5,822 feet or 1,775 meters), it only takes 3 or 4 hours to reach the Guadalupe Mountain Peak Summit (8,751 feet or 2,667 meters). Even though it was late September we still found the temperature warm and the sun hot so definitely remember to carry enough water, food, and a hat / sun protection. I’d also recommend carrying a light sweater since the temperature does decrease near the summit and the wind can be chilly. 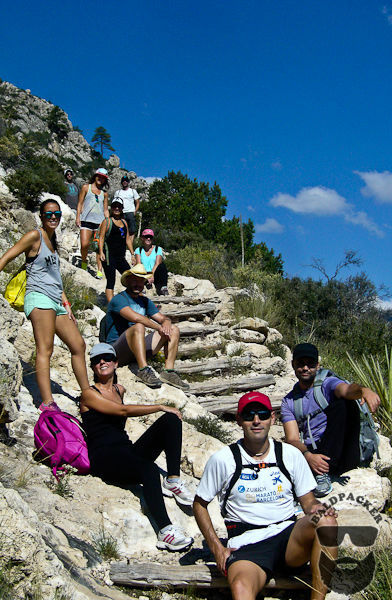 The trail steadily increases in elevation, with many switchbacks, offering stunning views in every direction. One of my favourite parts of the trail was the wooden bridge built over a cliff. 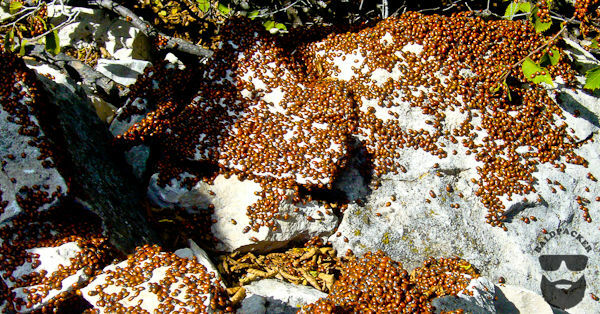 In addition to humming birds and rattlesnakes, the most interesting wildlife we saw were thousands of ladybugs covering rocks and trees. 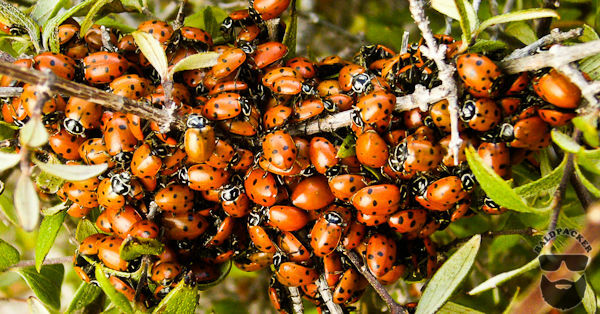 Ladybugs release pheromones, to attract other ladybugs, and the pheromones are so powerful they can be detected by other ladybugs up to a 1/4 mile away. Apparently, as days get shorter and temperatures fall, ladybugs seek shelter behind bark, under leaves, or in other protected locations to take advantage of the collective warmth of a colony through the winter. 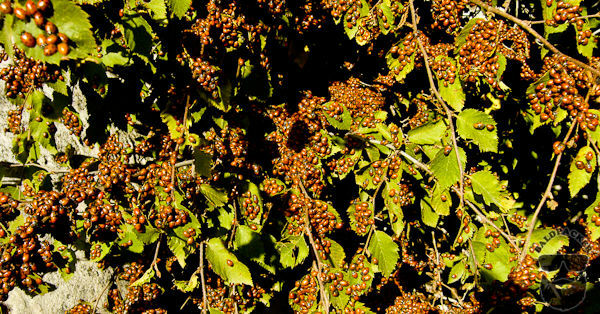 There were so many ladybugs on some of the trees and rocks they looked like red berries or moss! 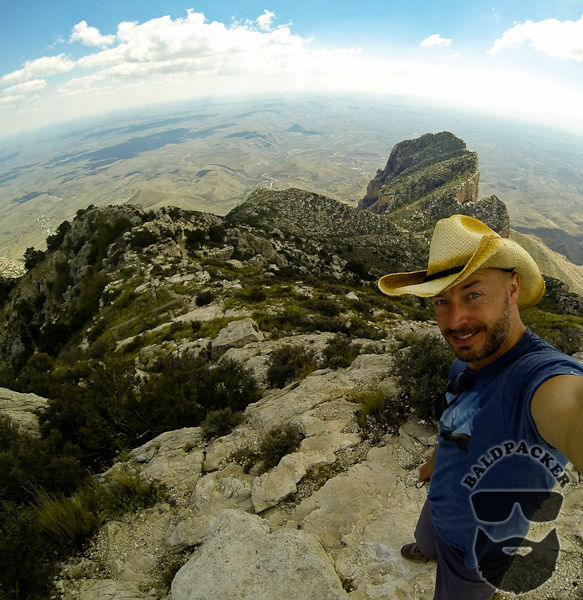 The views were especially spectacular as we reached the summit.of Guadalupe Mountain. 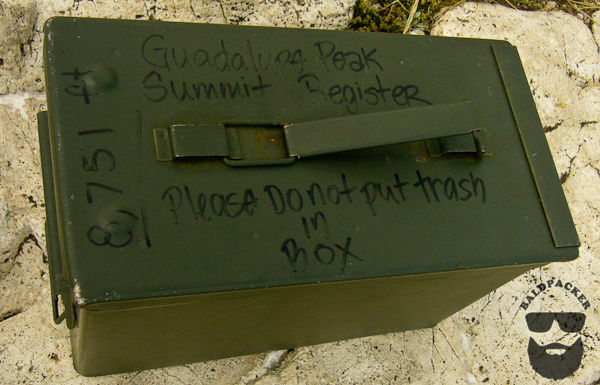 One of the things I really liked was that at the summit there was an old ammo box which contained a trail register and gratitude log. 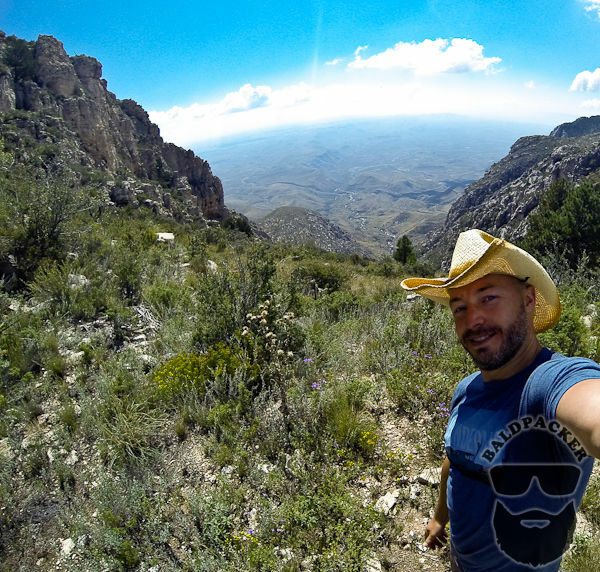 In summary, I loved my visit to the Guadalupe Mountains National Park, especially since the Permian Basin and West Texas is generally so flat and boring. 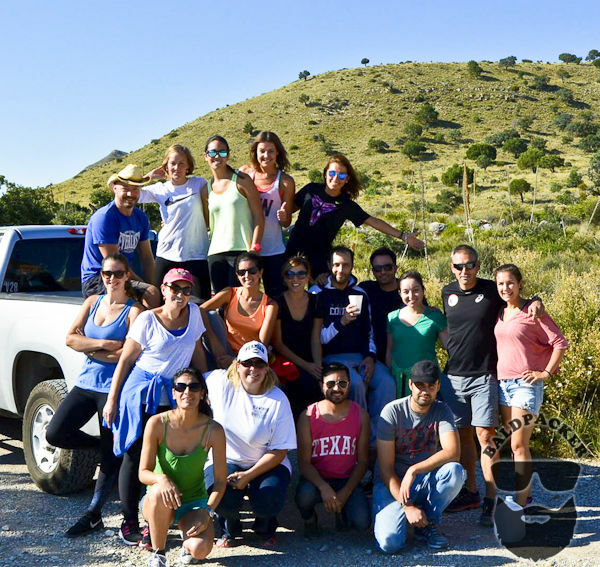 I really enjoyed getting outdoors to camp and hike and look forward to returning to Guadalupe Mountains National Park in the near future, possibly to see the Fall Colours. awesome man! I particularly like what you put in the what I am grateful for log, me too! !